Like many people, you probably enjoy getting outside when the weather is warmer. There are many different things to enjoy about the great outdoors but for some of us, there is nothing like having a good barbecue. It gives us the opportunity to get together with family and friends and to enjoy something tasty that has been prepared just for the occasion. That doesn’t mean that they are without problems. We may experience any number of different problems when it comes to enjoying the great outdoors. One of those issues invariably is going to be a problem with bugs, but it is not something that you need to live with for the rest of your life. As a matter of fact, there are some natural things that can be done which will get rid of them once and for all from your next outdoor adventure. When many people experience a problem with bugs outside, they automatically reach for a chemical treatment. Some of those treatments may include a citronella candle or perhaps some type of spray that is designed to kill the bugs and keep them away. The problem is, many of those treatments are not only mildly effective, they also contain chemicals that are harmful to the humans in the area, not just the bugs. 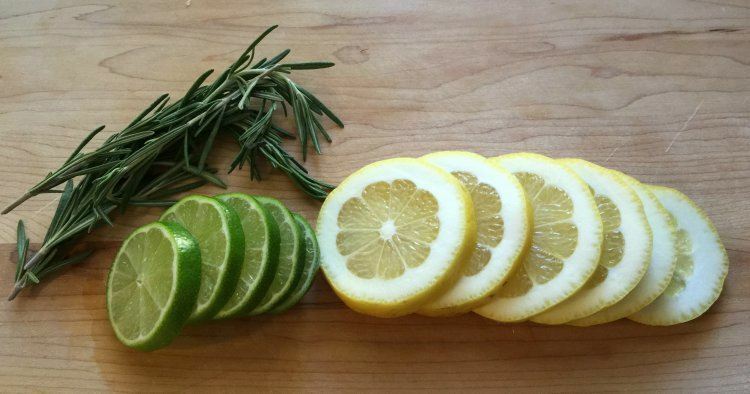 That is why a natural solution is often preferred, and this solution can certainly go a long way in helping you to get rid of the bugs naturally. 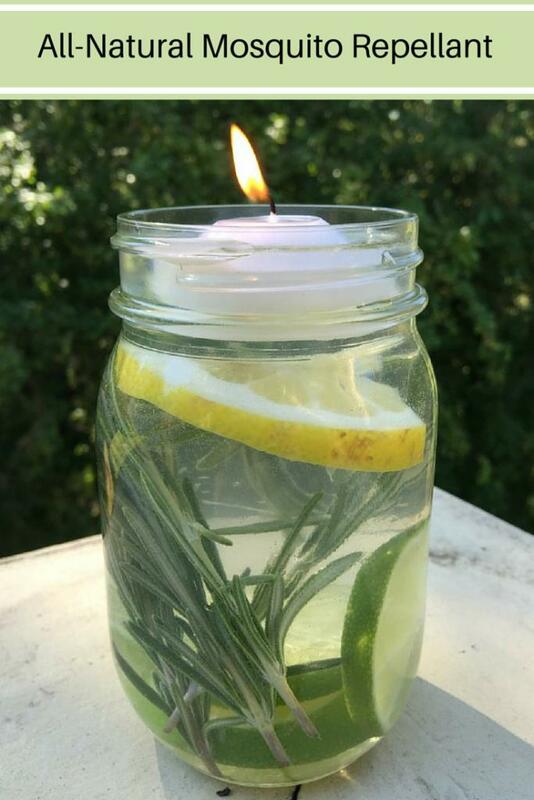 You can find Lemon Eucalyptus oil for a few dollars at Amazon and I was able to pick up floating tea candles for about 50 cents a piece at Michaelâ€™s craft store. This is a simple mosquito repellant that I whip up in minutes and place outdoors five minutes before we go to sit outside. 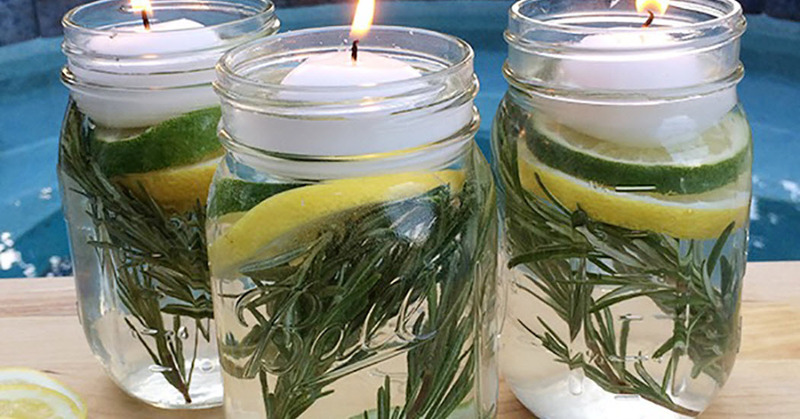 The other common approach is to put Citronella in a mason jar and poke a hole in the top and feed a long wick through.